It is known that in business the first impression can be a deal-breaker, especially if you are a small company trying to work your way up. But does this rule apply to the event management industry? 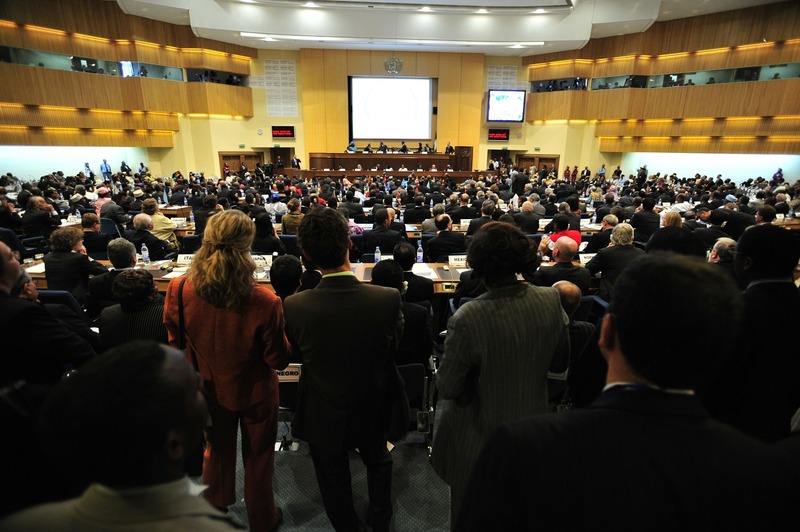 Do you think that an attendee’s first impression about your conference can affect your business? Well, the answer is yes! And even though it’s fair to say that the very first impression may occur when a customer tries to buy a ticket, let’s talk about the greeting and the registration process (and how to make sure that your attendees feel welcome). It is impossible to ensure a smooth process if you need 3 minutes to check in or register each attendee. Here are some things you might do to welcome your guests: search each guest by name, look for their printed badge, collect their data. All these things add up to the registration time. But if you use an effective app, you just need to scan a barcode or a qr code to identify and welcome your guest. Here’s what you might do afterwards: check in, collect data into your database and have the badge ready for print. Easy enough when you have the right tools. As Kelsey Ogletree said, technology has a dark side and I think it’s safe to say that a registration system crashing in the morning of your event falls into the not-so-bright category . This is why you should always triple check your registration systems prior to your big event (and all the switches/cable). And also make sure that everyone who is involved in the registration process is well trained in using the registration software. The result? It takes a lot less time to check in/register each guest. Make sure your staff members know the basic information an attendee could ask (where is the wardrobe, where are the restrooms, which stairs to use – if there are any etc). On the other hand it’s wise to have an info point with permanent assistance for more specific questions and/or complaints (although you might think everything is in place – and maybe it is – chances are your guests will be at times in need of assistance). Keep in mind that technology cannot solve all issues, so for the registration peak point you should open some extra check in points (most of your attendees will arrive 30 minutes prior to the start, so make sure you have some extra registration points in the first part of the day). Afterwards you can close some of them and your team members can focus on different tasks. Let me just quote sir Richard Branson on this one: “The way you treat your employees is the way they will treat your customers”. Make sure your team is fully prepared, motivated AND happy (yes, it is hard work, but you can still have fun doing it). Your attendees will be greeted with a big natural smile and that’s always the best way for them to start the day, and they are more likely to overlook any shortcomings that may occur later. Some of the participants may arrive earlier than expected: some traveled from out of town and came directly to the venue, some are just impatient and some misread the schedule… Don’t forget they are your guests, so treat them right. Ask them in, offer them a cup of coffee/water and explain that they will have to wait for registration. Keep in mind this is a very important part of your customer care process. Make sure you have plenty of water and coffee for all your attendees. It is best you let them accommodate with a welcome coffee; you will also need coffee breaks every 2 hours or so, otherwise your attendees will lose their focus. If you host a full day event you be sure to include a lunch break in the schedule (if you don’t cater the lunch at least offer some information about restaurants nearby). Let’s admit it: we all love cool stuff. So do yourself a favor and use a cool badge (use a registration software that offers you this feature) and nice colored wristbands. Trust me, your attendees will notice your attention for detail and will help you spread the word about your “supercalifragilisticexpialidocious” event by posting photos on social media. There are many aspects that you must have in mind when planning an event, from the speakers list to venue and suppliers. But don’t forget that the registration process is a an important part of your guest’s overall experience and keep in mind that a very good first impression works wonders. Marketing an event is neither innately or self conspicuous; a lot of patience and knowledge is required in order to properly promote it. How do you make sure that your consumer keeps bonding with your brand? Many businesses have the possibility to immerse their consumers in whole physical experiences through their products, promotions, show-rooms, shops, etc. What about the brands that have no physical product to wow their consumer with, or stay hidden behind a blog and the social media channels. How do they engage with their customers? The answer is events. The creation of promotional events through which brands can bring awareness and bond with your customers is definitely the success key. 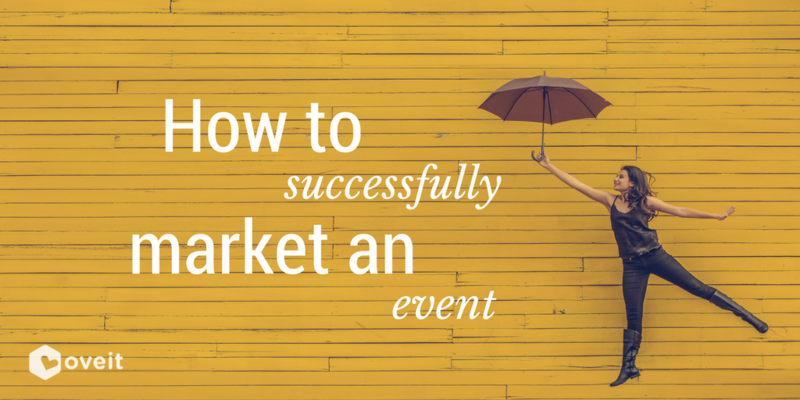 Even knowing how important events are, many businesses don’t take full advantage and fail in delivering a good event. It is impractical to organize a surpassing event and offer top quality products and services if you are failing to promote it. Who will know or attend your event if you don’t sell it properly? Event marketing is the best opportunity to bring your community together and spread the word. 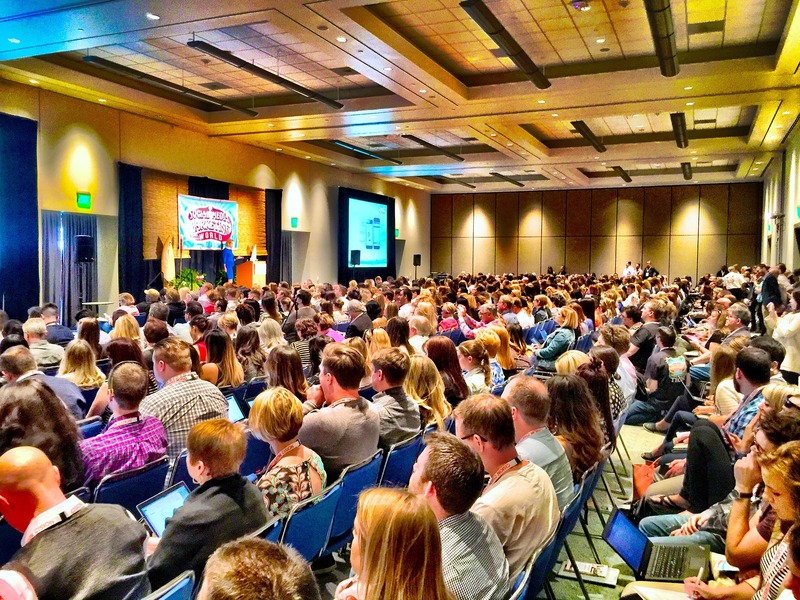 Best of all, the most effective forms of event marketing will get people talking, writing, and reading – all about your brand, products or services. The best way of understanding your most effective forms of marketing is putting yourself in your attendee’s shoes. So let’s imagine you are your future event’s attendee. It is important that both Traditional and Digital marketing channels are used properly. Sometimes first impression is the last impression and this is the time you can attract your future attendees with perhaps just a glance of a look. Depending on the type of your event and audience segmentation you will decide which marketing mix will be appropriate. With a poster or a flyer your purpose is to create eye-catching print that will attract people to participate in your event and offer the necessary information about it. If you are interested in finding more about how to create an attractive poster here are some tips & tricks how to do that, offered by Venngage. Email marketing has the same purpose as the print material; catch the eye in a short time frame, inform and redirect to your digital channels. TV and Radio Advertising are most of the time effective though they are pricey. If you are creating an event for tens of thousands of people big media spending is definitely worth it. Otherwise – maybe stick to something more cost effective. The purpose of Social Media is not only to advertise your event before but also create an online community that will help maintain the interest in your event in between happenings. It is important to know how to keep your attendees engaged before, during and after your event. According to a study conducted by Buffer in 2014 nearly as many attendees are talking about the events as during the event. The objective is to create excitement of the up-coming event, engagement on the Social Platforms and enroll those who are not decided yet if to participate or not. Through posts that include questions, information, tutorials, etc. Use Facebook, Instagram ads to re-market to prospects – show ads to people who have already visited your website. The target here: keep them coming back next year. It is still important to continue promoting the event but the marketing will come from a place of knowledge and top of mind recognition, rather than having to refresh their memories. Share and leverage the user generated content since this will bring more authenticity and credibility to your posts. Search engines are making people’s life easier by guiding them in their search. But getting your websites to appear at the top of the search result is no easy thing. Your website needs to have a high ranking in order to be displayed at the top and this is possible only through Search Engine Marketing. Another important aspect is the reliability of your website because it represents the portal to your event and the first step in your attendees’ immersion. This experience has to be appealing, concise, user friendly, up-to-date and synchronized to all of your pages. Lastly, don’t forget to create a mobile website too, since many web users are doing their research from their smart phones. Your attendees are searching for more information because they want to rest assure that your event is what they are looking for. It’s a good opportunity not only to offer them all the information they are seeking but as well connect with them and make them feel part of the community. At this point your only hope is that your attendees are happy and desire to participate along with their friends and family. The only way to get here is by following the previous steps. And when you thought that might be all, guess what? – it’s not! A registration process that it is complicated and slow it’s the worst turn out for your future attendees. The payment process has to be the easiest step from the whole journey. In order to sell tickets and achieve a successful consumer journey, attendees need to be kept engaged at every stage of the process. Providing a memorable pre, live and post-event experience will make your attendees more connected to your brand and will become, if not already, loyal. Consequently, by trusting you, they will innately recommend and share their experience with others both online but as well direct; word of mouth is still the most valuable marketing tool that has the highest conversion rate. “Un homme averti en vaut deux” (an informed man is worth two), claims a French saying. And maybe the math is not quite right but we all know the importance of information when planning an event. Luckily today’s apps let you know every minute how many tickets you’ve sold and to whom (through the right tools, such as Oveit ). For example most of the seats are empty 10 minutes before the posted start time? Verify the app and see how many people checked in. If 80% of the ticket holders already checked in (maybe they are in the lobby) you’ll only have to deal with a small delay, not a fiasco. Using an event management software keeps you well informed. Time is money (for everyone). Professor Richard Larson, from MIT, has estimated that Americans spend about 2 years of their lives waiting in lines. Even sadder is that “often the psychology of queuing is more important than the statistics of the wait itself” and people tend to overestimate the waiting time by about 36%. Today you can use an event management app that allows you to use any smartphone for ticket scanning and registration, making the queues go a lot faster (you can extend the scanning points with as many as you want; all you need is a smartphone). There was a time when word of mouth was the only way to communicate your event. Today, 3 of the most important social media platforms gather more than 2 billion unique monthly visitors; modern technology gives you the opportunity to market the exact demographics that you want. Although this is not the answer to all of your prayers it clearly makes it a lot easier when you want to make yourself heard. People spend around 2 hours a day touching their smartphone’s screen and 85% of that time is, in fact, spent using applications. So we can understand why more and more #eventprofs are using applications when it comes to engaging participants. See for example TONOMAT, an app that allows everyone to be the DJ at your party, helping even the shyest to make himself/herself heard (via his/her favorite band). 62% of the leads are not followed up after an event. I really hope this is not the case for you. You invest a lot of time and money in planning your event and you should interact with everyone who registered. If someone spent the time to register for your event it means that they are interested in what you have to offer (not to mention those that actually attend it). So keep in touch with them! Believe it or not, Museums are investing in technology with the purpose of reshaping the traditional museum into a conjuring experience. They are not only acknowledging the new services as Facebook, YouTube or Snapchat but they are actually trying to find ways of fitting in alongside them. Some museums like the MET museum from New York are actually investing in a digital media department composed of 70 staff and 70 more handling tech hardware in general. From 3D scanning and 3D printing, to virtual reality and special apps, these technologies are being applied in a multitude of ways. Still other technologies are being tested and developed as museums seek to ever broaden public access. The digital revolution, managed to disrupt the whole industry. Museums are starting to implement cutting edge technology not only to engage visitors emotionally but as well to create powerful avenues for learning. With NFC & RFID technology used in museums there is going to be no need of tour guides, asking questions or wondering about what you are looking at. Some museums around the world are employing NFC and RFID so that visitors only need to swipe their phone near a specially designed hot spot in front of the exhibit to be given a full tutorial and information on the things they are seeing in front of them. With the purpose of creating a conspicuous experience museums have started to embed technology not only for informative purpose but as well to create a powerful avenue for learning. Creating interactive trivia games, visitors have to answer correctly questions using the information found within the museum and by answering correctly the questions the tourists will have the opportunity to win sweepstakes. NFC and RFID can be used not only within mobile apps(active mode) but as well integrated into your wristband(passive mode). When registering, the wristband can be linked to your social media account and allow you take photos in designated locations which can be posted automatically on your social media profile or kept in your memory bank. As well you can tap your wrist onto art which you liked in order to memorize it and explore it later. The wristbands can provide you access to your entitled locations through the museum without having to hand out your ticket all the time. And of course for the little ones who are getting easily distracted and bored an immersive adventure can be created. “My sense is that beacons aren’t a life raft, but a bridge to the next generation of museum users” Elizabeth E. Barker, said, director of the Boston Athenaeum. Beacons are considered as the enabling technology for devices to alert apps or websites (which the user has opted into) when someone approaches or leaves a location. In other words, museum or other venues that have beacons in place can detect where a visitor is at any given moment and send him specific information. Museums can also use beacons to send additional info; for example , a visitor standing near a painting might get a phone alert directing them to rich , interactive content relating to the painting. The Brooklyn Museum is using iBeacon technology as a way for guests to interact with museum experts. De Young Museum – San Francisco, MET and Brooklyn Museum are just a few examples of museums whom adopted 3D printing and scanning. De Young Museum has collaborated with Google on the Google Art Project , where its collection of art is being digitized for online viewing, the de Young also dabbled with 3D printing when it needed to create a special stand for an 18th-century French clock. Using MakerBot Replicators and 3D CAD software, the museum fabricated a plastic stand that fits the clock perfectly. Through AR visitors can find out more about a specific art piece by placing their smartphone or tablet over the object. With augmented reality, visitors can use a simple smartphone to discover more information about a piece of art in an interactive manner. For example , placing a smartphone or tablet over an ancient statue could display missing parts that have broken off – giving the visitor a glimpse of how it would have looked when it was new. Because AR responds to your movement in the environment, the experience is also completely 3D. Working with Samsung, the British Museum used AR to create an education program for kids, where they can explore virtual content as they wander through the museum. AR is still in its infancy, but museums around the world are already testing its potential. Same as the rest of the museums described above, Getty Museum- Los Angeles is trying to stand out through their augmented reality art collection. For example it allows their visitors to explore from their laptops a 17th-century cabinet , by overlaying a virtual 3D object atop a live feed. Users can interact with the object, working in conjunction with the viewer’s body movements. Discover the hidden beauty of the deep sea, fly to the farthest reaches of outer space, take a ride through the complex inner-workings of the human body, and more.This is what Virtual Reality can bring to you. The most comprehensive VR experience ever launched at a museum, The Franklin Institute- Philadelphia is now home to spectacular immersive films and state-of-the-art technology that will transform your view of the world. Using a HTC Vive or Oculus Rift you can be transported to another dimension where anything is possible – where elements are reacting to your movements and commands. Most of the museums are using not one but rather a slew of tech tools in order to recreate the desired experience. Not sure if it is fortunate or unfortunate, most of the museums will have to embrace tech in order to keep their doors open. Some of the museums which also implemented cutting edge technology are: The museum of London, Centre Pompidou – Paris, Bill Nye’s Climate Lab at the Chabot Space & Science Center, Museum of Natural History – Denmark, National Museum – Kuala Lumpur, Metropolitan Museum of Art – New York City, Louvre Museum – Paris, etc.